Hillside puts contract customers first. We do not take on commitments that would affect our ability to offer fast, honest and reliable service. We do this in two major ways. First our technicians do not work on commission and secondly we do not hire untrained personnel before summer and then lay them off during the winter. This means that all of our technicians are experienced with Hillsides ethics and procedures. In addition to our field employees our office personnel offer excellent record keeping, immediate response time and unparalleled organization. Try us out and see what you have been missing. 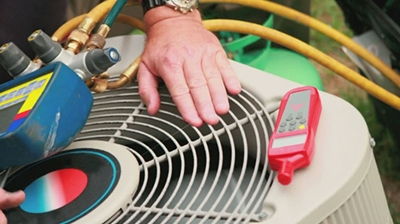 Our 6 Point Maintenance System is equal to none in keeping your costs down and keeping you comfortable. 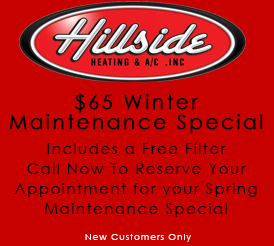 Hillside provides the highest level of customer service even during peak demand weather. Count on us to keep you cool! 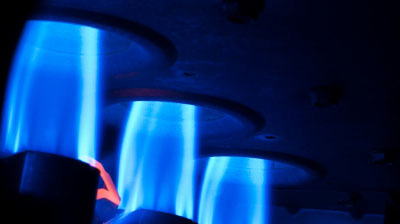 Heating Repairs and Installations require a combination of skills Hillside Heating and Air brings to every job! 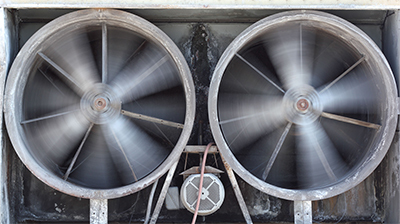 Hours of Operation: Monday-Friday, 7 a.m.-5 p.m.
Hillside Heating & Air Conditioning, Inc.